On this day in history, June 30, 1783, Congress reconvenes in Princeton, New Jersey, after leaving its longtime home in Philadelphia. Many congressional delegations from other colonies did not like Philadelphia, the largest and most commercialized city in the country, stemming from the fact that Philadelphia merchants had an outsized influence on Congress. Delegates feared their influence would cause Congress to favor "big business" over the other more agrarian colonies. In 1783, Congress was negotiating with Great Britain to end the war and the Continental Army was being downsized. Many soldiers, however, were disenchanted with the perpetually broke Congress because they were still owed back pay. On June 20, 1783, a large group of Continental Army soldiers surrounded the Statehouse in Philadelphia (Independence Hall), the meeting place of Congress and the Pennsylvania government. The soldiers hoped to scare Congress into acting on their pay situation, but chose to surround the building on a Saturday when neither group was in session, obviously hoping to avoid an actual confrontation, but still sending a message. The opponents of keeping the government in Philadelphia took advantage of the turmoil and quickly acted. 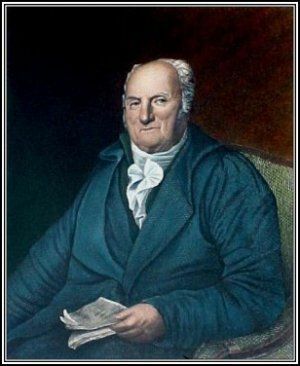 Elias Boudinot, then President of Congress, called the body into emergency session. They voted (without a quorum present) to quickly remove to Princeton, New Jersey, 45 miles away for safety. Boudinot was originally from Princeton and he was a trustee of the College of New Jersey (now Princeton University), but the most practical reason for choosing Princeton may have been that the College of New Jersey had a large building suitable in which Congress could meet. Nassau Hall was the main (and only) building of the college. It housed all the students, offices and classrooms, had a large chapel and had a large library. It was the largest academic building and the largest stone structure in the states at the time. 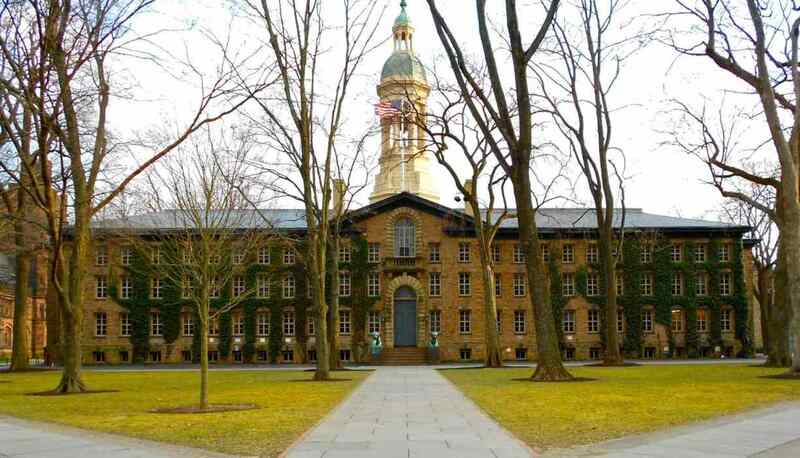 Congress reconvened in Nassau Hall on June 30 and stayed in Princeton for the next 4 months. Congress met here while in Princeton in 1783. While at Princeton, Congress received its first ambassador from the Netherlands and first learned that Britain had signed the Treaty of Paris ending the Revolution. Much of their debate centered on where to locate a permanent seat of government for the United States. To keep the northerners and the southerners happy, a plan was devised that would create two capitals, one near Trenton, New Jersey and the other near Georgetown, Maryland! Congress would meet half the year in one place and half the year in the other! Then Congress had to decide where it would meet while the two federal cities were being built. This led to the decision that Congress would meet at Trenton for six months and Annapolis for six months, rotating until the federal cities were built. Congress left Princeton in December and moved to Annapolis according to plan. The following year it moved to Trenton, but by this time, many had changed their minds about the wisdom of a continually moving Congress. They decided to abandon the plan and move to New York City, where they stayed until 1790. The decision was finally made to build the capital on the banks of the Potomac River and that Congress would meet in Philadelphia for ten years while the federal city was being built. The federal government finally moved from Philadelphia to Washington DC in the year 1800.